Conor Neeson graduated from Cardiff Metropolitan University with a BSc (Hons) in Sports Conditioning, Rehabilitation and Massage in 2017. Originally from Northern Ireland, Conor came to Cardiff in 2014 to study ‘SCRAM’ at Cardiff Metropolitan University. During his time at University, Conor gained experience working at the University’s Sports Massage Clinic as well as Newport Country FC, Welsh Triathlon and Cookstown Youth FC. Conor continues to work with Welsh Triathlon helping some of Wales’ top triathletes and is currently studying towards a Masters in Sports Rehabilitation. Conor is a keen sportsman himself and starting running the 100m and 200m in school where he was quickly scouted for the school’s rugby and hurling teams. Conor trained 6 days a week as a teenager before moving on to compete in St Mary Ahoghill’s Gaelic Football team and since moving to Cardiff has been competing for St Colmcalles in the London section of the All-British league. We have even managed to convinced him to take up Australian Rules Football! Given the intensity of Conor’s chosen sports, he has experienced first hand the demands of exercise on the body. 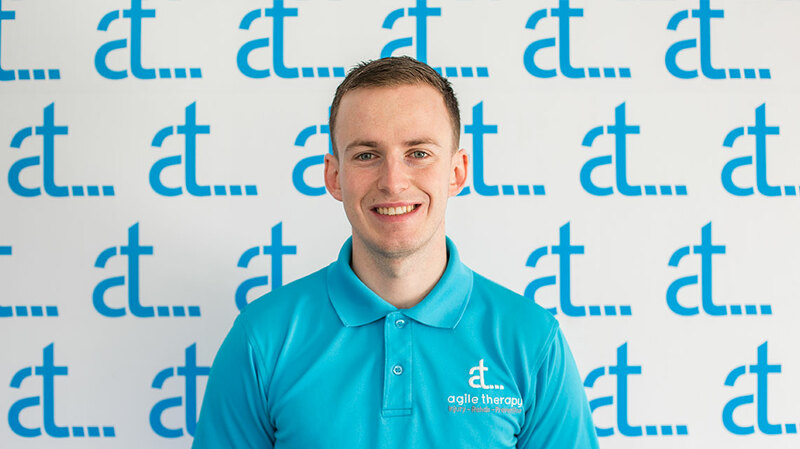 His thirst for knowledge and ambition has seen Conor complete a course in Electrotherapy in 2017 and alongside studying for his Masters he hopes to further his skill base by working with a range of different individuals in a clinical setting providing Sports Massage. Helping people is in Conor’s nature and he has given back over the years through coaching youth teams, volunteering at Youth Clubs and even spent some time in Romania where he helped young people in the area of Dorohoi by supplying food and water to families and helping them participate in sport. Conor will be available for bookings on Wednesdays, Thursdays and every other Saturday. Book an appointment online with Conor.